Co-Owner Amy McHugh and team member, Jen arrived in Cabo for the Travel Impressions Best of the Best Awards show. Dream Agents Robyn Ayers and Sara Baker are spending the week in beautiful Orlando attending Disney’s annual Ear Marked Conference. Follow along to hear about their arrival and some holiday fun at Mickey’s Very Merry Christmas Party. 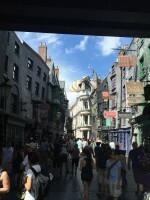 Dream Agent, Robyn Ayers is spending a fun filled week in Orlando Florida at Universal Studios with her family. Mike and Amanda travel to the beautiful El Dorado Royale in Cancun, Mexico for the 2013 GIVC awards! 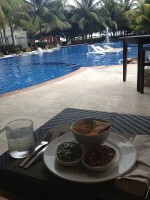 Dream Agent Sara Baker enjoyed her 3rd day in the beautiful Riviera Maya at El Dorado Maroma and Generations Maroma. 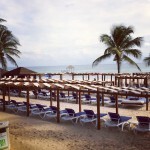 Dream Agent Sara Baker travels to Mexico and tells about her first day at the beautiful El Dorado Maroma. Day 3 Robyn and Lynda’s mission begins with a day of workshops to increase their knowledge followed by a spectacular closing event at Disney’s Hollywood Studios. Lynda and Robyn’s mission includes learning all about new technology and testing it in the parks. 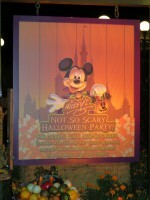 After their day in the parks follow them on their magical Halloween adventure complete with treat or treating and characters in costume.